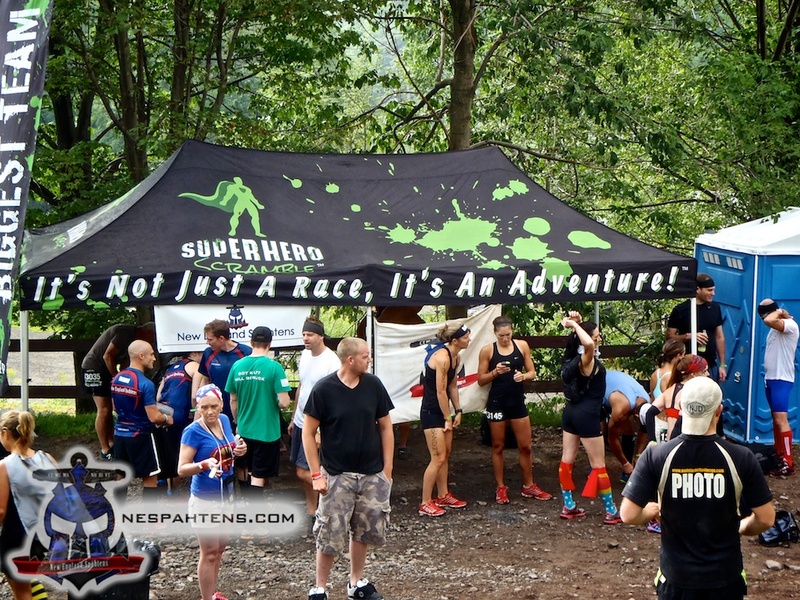 Superhero Scramble impressed us with their professionalism under adverse conditions in Amesbury – putting on a great OCR, despite torrential rains that washed away much of the course, and a slide that turned into something quite dangerous that was ultimately shut down. However, it did leave us thinking we hadn’t seen Superhero at their best. 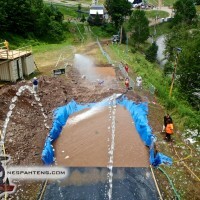 We missed signature obstacles and atmosphere, and for as fun as the event was, we needed to give them another spin. 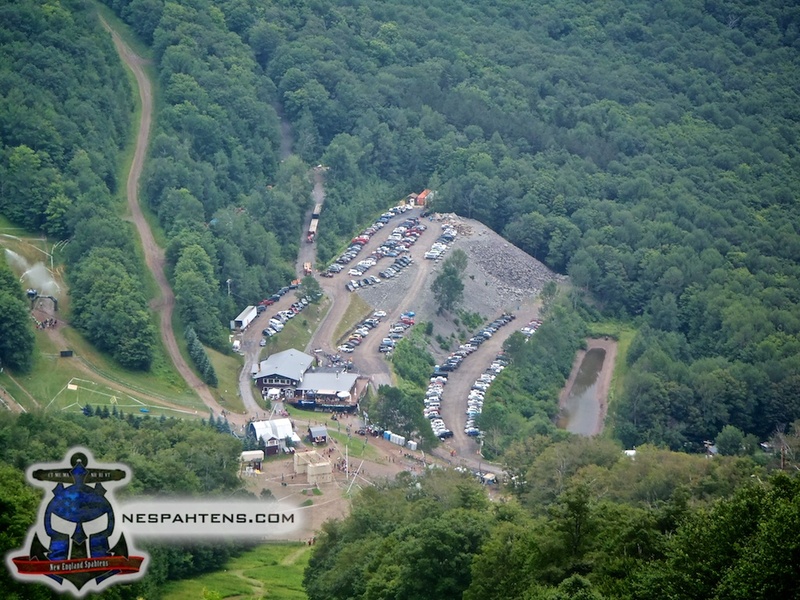 This past weekend, the New England Spahtens migrated to the Platekill Mountain in New York state to find out what we had missed. For those of us living in central MA, or western MA the drive wasn’t terrible – personally I had a 3.5 hour drive time, but elected to stay at a hotel half way there on Friday night, because several of the team were running the early morning elite wave, and I wanted to be there to see them off. Staying in a town called Coxsackie (no, really, we couldn’t make it up), it meant our drive to the venue was around an hour – seems there weren’t many hotels near the ski resort, and when we rolled up in the AM and lost cell signal 15 miles away, it became apparent why – this was one remote ski resort! The New England Spahtens had once again brought biggest team, and this time, our team tent was up and ready for us right after registration (which was smooth all day) – we had great views of the mountain, the finish, the cargo net climb / rope climb and a very short walk to the final leap of faith / fire pit / Beast wall / super slide complex – couldn’t have asked for better. The entire venue was fairly compact, and rather disconcertingly, I was told that this was because this was the only flat ground on the whole course … and there wasn’t a lot of *that* … oh boy. Parking was easy, and close, and $10 a car. No buses to worry about. 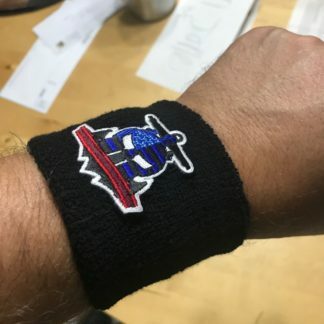 Registration was really simple, as we were there early enough and prepared enough that we just walked up to our bib number isle, picked up our wrist band, bib, pins – showed our ID to the beer guys to get our proof of age band – and we were in. No vendors at the event, other than the Superhero Swag tent – which has to be one of the better swag tents. 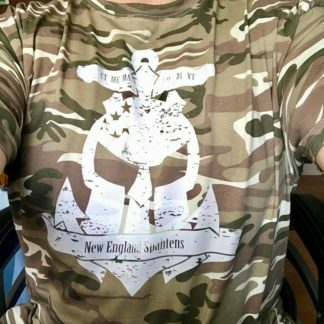 I truly don’t mind paying for shirts that are cool looking, and OCR related! The start line was a short uphill walk, with a 6′ wall to get into the corral. Waves at this event were pretty small, I suspect they would have preferred to have attracted a lot more people, but with the OCR elites racing at the mid-west Spartan Race, they couldn’t put money on the line here – still, rumors of a 6 mile course with brutal hills had brought out a bunch of competition, and looking around the elite starting corral at 9am, it was clear from the chiseled abs and flesh on show, these guys were ready for this. 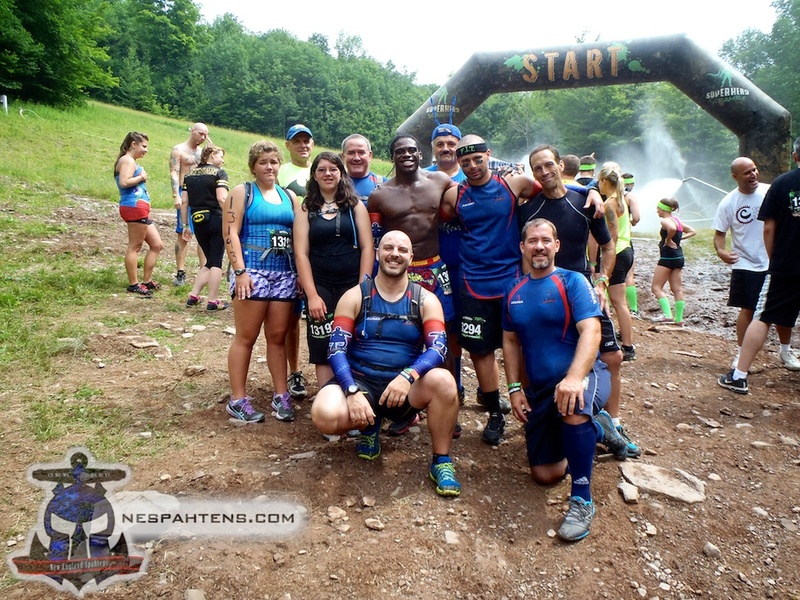 The Spahtens had fielded an elite team – with some confusion on the part of registration we had a few people we weren’t expecting too – but with a bunch of guys, including our usual Jeff, Mario, new guy Joe – the Ladies – Heather, Jessica and Corrine – they were ready to go. The usual amp up by the DJ, snow maker sprinklers turned on, and BOOM – they were off. 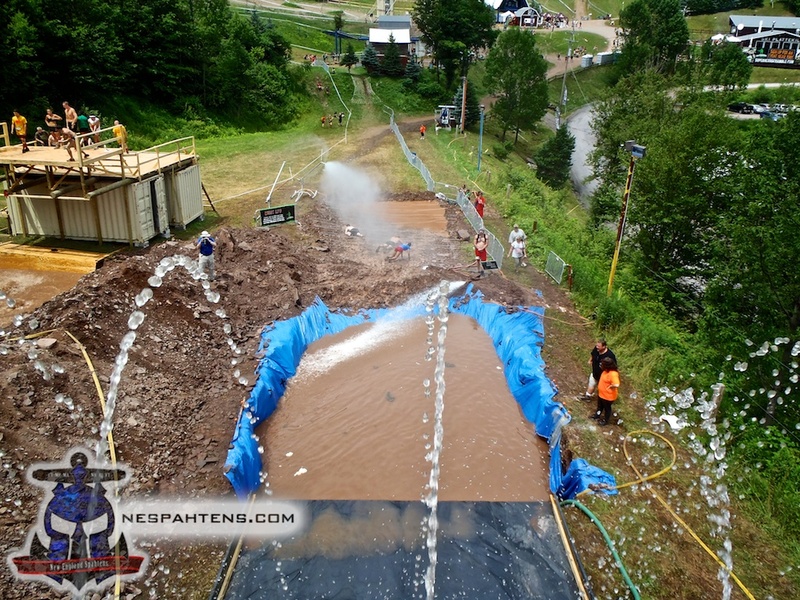 As spectators, we could see a few obstacles – but most impressively we could see The Hill. From the ground, at the foot, approximately the 1mile mark, you did a cargo net, with a run up to a barbed wire crawl, then it went up. And up. And up. Ultimately, this one, single stretch uphill was mapped as approx 1500′ of elevation change, in a single 0.5 mile stretch. That means it was steep. Very steep. Elites were walking, slowly. Then they vanished for a while. I got to watch some of the elites come into the final complex before my wave, including Spahtens, Joe Benoit – but then it was my turn. 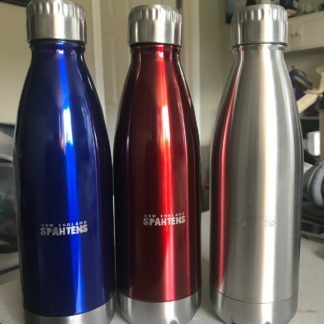 By the way, those guys ended up taking second place mens *and* womens team prizes – how awesome are they?! 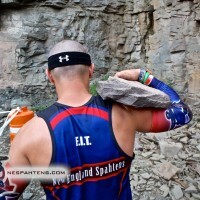 Pulling up the new Spahten sleeves, strapping on the camelbak and lining up with my team mates, it was our turn. I’ll not lie – I struggled that first couple of miles out – especially the hill – it was pretty brutal, with little chance to rest. 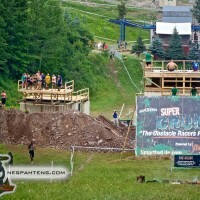 If I’m going to hit Killington this year, I need to work on that stuff – but the reward was at the top. The views were amazing. 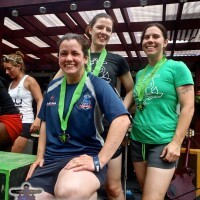 Once we got to the top, it was a series of steep trails, up and down, split up with obstacles – we had rope climbs, many 10′ walls – all of which were immediately followed by 5′ walls – the ring swing obstacle over dry land was the only obstacle I failed and had to superspin/burpee. The balance beams were also over dry land – and these suckers are deceptive. Slightly uphill, they wobble like crazy to the end – made it though! 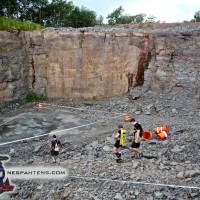 Using their natural terrain well, Superhero made a course that dipped down into an old quarry full of lose rocks – picking up our own rocks on the way in (pick your own size – I would have liked to see a “standard” here), it was a nasty clamber down, around and back out. Then onto the decent and into the final complex – this time, Superhero had been able to put their obstacles in a much more traditional fashion than they were able to at Amesbury – we hit the leap of faith obstacle (I will admit to walking this one), then a short run up into the woods to loop back around – over the fire pit to the Beast. 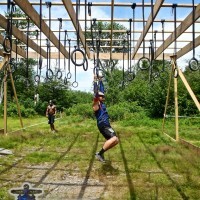 The Beast is a 16′ incline wall with ropes. Last time, I was soaking wet, and came off the damn thing three times – also watched several people break ankles, smash noses and other assorted injuries – this time, with things much drier, it was a different ball game, and I made it up the Beast nicely. Then a small ladder to climb to the top of the superslide – this is where I overcame one of my fears of submersion in water, and let go – this slide was pretty epic – easily the fastest slide out there, with a pretty substantial gap between the end of the slide, and the top of the water – yes, I went under, yes, it freaked me out, but it was done. 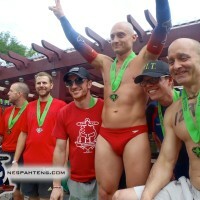 A short barbed wire crawl (and photo op), then through the two guys with padded bags to the finish line. All told, this was just over 6 miles per most GPS’s, with the first two being massive elevation change – and absolutely brutal. 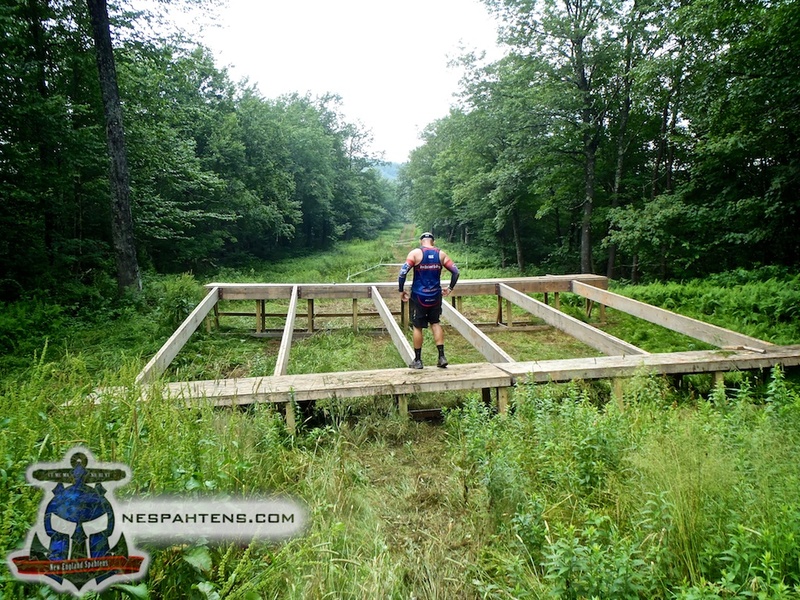 For those who didn’t make it, I’d compare this to the NJ Spartan Super in 2012 – the climb was longer, and steeper (but, fortunately, only once). Also, Superhero lucked out with the weather. We’ve had a heat wave for the past several weeks, with severe storms scheduled for the day. Apart from a downpour first thing in the AM and late in the day, the weather was mid-80’s, breezy up on the mountain and absolutely perfect. I’m glad I had my camelbak, due to the distance, but there were three well stocked aid stops, plenty of volunteers and everything ran smoothly. Next post: Should you do the Beast: Yes. But the race is the easy part. summed up nicely, would love to sign up again with early bird but can schedule that far out due to Army commitment. 15 y/o daughter completed first OCR as superhero while puking twice, she said she would do this again just to beat down the hill. I thought Superhero would be a joke, costumes, really. 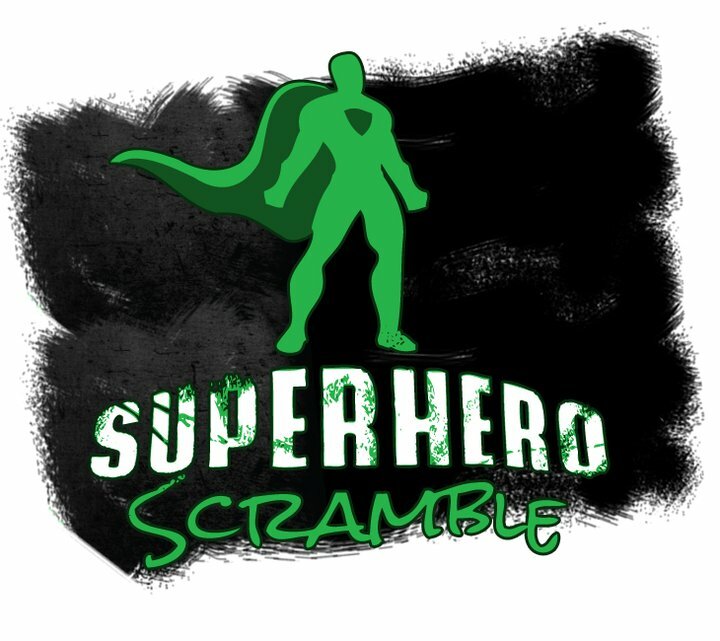 It took me longer to do the scramble then the Superspartan in VA last year! Thanks Paul. We love your Team.